About - Trantham Services Inc. 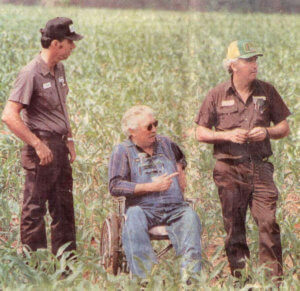 In 1972 three brothers, Gene, David, & Doug Trantham, got together and started looking at ways they could expand the small cattle farm their father owned in Alexandria, AL. They pooled their resources together and purchased a few pieces of used farm equipment and, along with the help of their father, planted their first crop of soybeans. The following year they saw the need for a truck to use on the farm. When the truck was not needed on the farm, they began using it to haul wood products for Georgia Pacific. Through the late 70’s and early 80’s they continued to expand the farm and added 2 more trucks to haul agricultural and wood products. In the mid 1980’s, they purchased and dedicated more trucks and end-dump trailers to hauling waste and recyclable materials with long haul trucks. Throughout the 90’s, the long haul division of trucks pulling end-dumps grew to around 12 trucks. 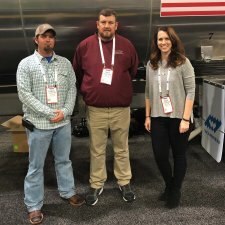 The business continued to grow into the 2000’s and they added bulk auger trailers and began to work with owner/operators in the long haul division. 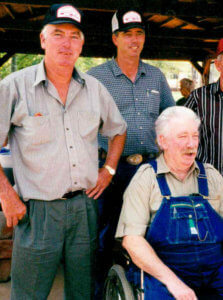 In December 2009, Gene Trantham, the oldest brother, passed away. 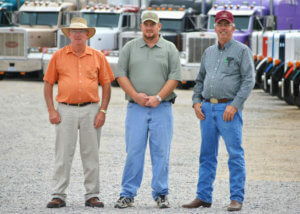 David and Doug, along with Troy, Page, and Daniel, continue to operate the farm they started on along with a fleet of 114 trucks, end-dump trailers, and feed trailers.